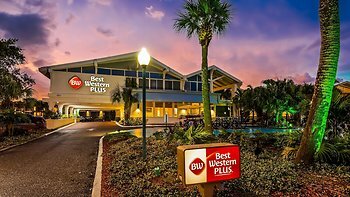 I've stayed in many hotels around the world and I thought that the staff at the BW Yacht Inn were as friendly and personable as any hotel I've stayed in. Just warm and kind hearted. Hotel was clean and location was excellent. Could use a coin laundry for guests staying longer than a couple of nights, especially with young children. Rooms were large, very clean and well equipped. Staff was knowledgeable, friendly and always courteous. Location was Great, right on the harbor and yet within walking distance of a cute little shopping area with plenty of restaurants. The location, easy to walk to shopping and restaurants. Also enjoyed being close to the water. Parking was an issue when we came back in the evening because of restaurant parking, there were no spaces available for us. My room was gorgeous. I read the reviews and I didn't want to stay. Whoevere wrote the reviews had to be speaking of somewhere else. I could have had a cocktail party for 50 the room was so big and clean and happy and cheery.Can't wait to come back there. No complimentary breakfast / or coffee bar. Most places today have that included w/ the rates they charge. Have stayed at some less expensive hotels on the east coast beaches that included that as well. Most upper end hotels do .